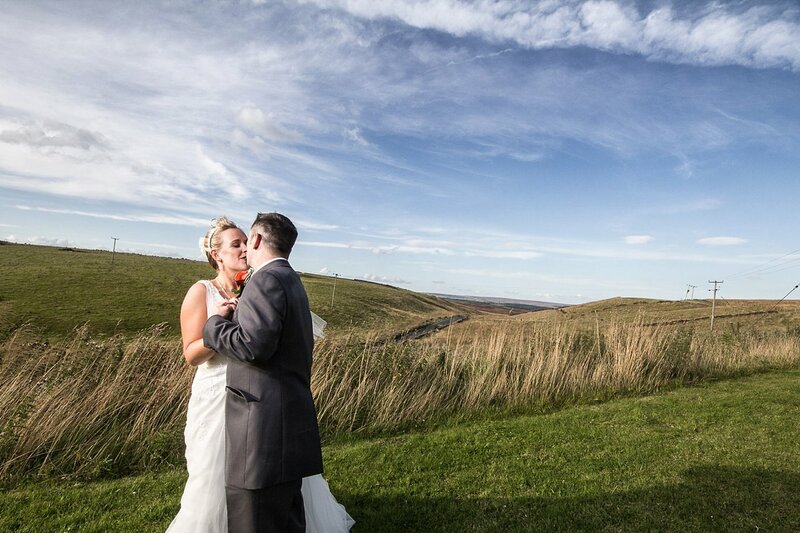 Stunning Yorkshire wedding locations – right on your doorstep. It’s easy to pour over amazing wedding venues and settings from all over the world. Be it the vineyards of California, the dramatic landscapes of Iceland or the mountains and scenery of New Zealand. At some point we return to the reality of more realistic – and local – locations. However it’s easy to miss what is actually under our noses, and truly appreciate the stunning locations that we have right on our doorstep. Look up, and look around and they’re all there. Based in West Yorkshire, I’m on the edge of the Pennines, and right on the edge of the Peak District and only short drive to North Yorkshire, Manchester and Liverpool. The coast is less than two hours East or West and we are spoilt for choice from a large selection of country houses and fantastic hotels hosting weddings. We have the amazing architecture courtesy of our Victorian ancestors, and bright modern settings that can, and do, grace architectural magazines all over the world. OK, it’s not Iceland, but who know’s there may indeed be someone in Reykjavik dreaming of a wedding in a country house, a secluded country hotel or a resplendent city hall. Look around it’s all there…or rather HERE.